Mind blown. For reals. The hook of this novel is that Ursula lives her life over and over. It doesn't read like a gimmick because it's done in a subtle and masterful way. Bravo Ms. Atkinson, bravo. A short story collection with a decidedly quirky flavor. Girls that turn into silkworms, giant seagulls with a penchant for thievery and vampire-sustaining lemons. I can't say much more than that. Let me take this opportunity to thank my local library for being SO AWESOME! I don't know what I'd do without that place. I really did, such an interesting premise. And it worked! I'm looking forward to your review about Life after Life! I'm definitely going to have to get moving through my library pile faster so I can get to Life After Life! When I heard about it at a Random House event months ago I didn't think it would be for me but it's sounding good now. When I first read about Life After Life I didn't think it would be for me either. I generally don't go for fantasy type stories. I don't know if this is fantasy (I'm terrible at describing genres!) but it sounded like something a bit too magical for my taste. But I'm so so glad that I read it! Sounds like this bunch are all winners! I've had City of Thieves on my shelf to read forever and a day. Not sure why I keep putting off reading it. I've read one Kate Atkinson book and I loved it. For some reason, I can't bring myself to read anything else by her. I'm not sure why. What is it about her books that's intimidating me, I wonder? City of Thieves is SO good. Don't put it off any longer ;) (I'm bossy!) Life After Life is a bit of a chunkster, maybe that's intimidating you? That happens! 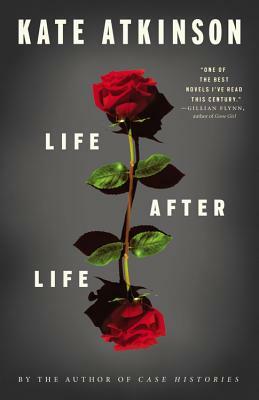 I loved Life After Life and can't wait to read more of Kate Atkinson's books! City of Thieves sounds great. Books about the siege of Leningrad are usually very sad so I'm glad to hear there was some comedy in it too. City of Thieves had such great moments of humor. It kept the book from being too depressing! I loved this post. So funny! I can't wait to read Life After Life, although I'm sort of saving it for a special occasion since it sounds like it will be such a good read. Thanks Kim ;) Oooh, it's a good one! I hope you like it! Vampires in the Lemon Grove ... the name alone sounds enticing but you had me with the giant seagulls! Ha ha, of course Leslie!! Thanks Monika! I am too ;) I'm not sure if I've read any of her other books. I'm going to look into that because she's a great writer! Ewww, the silkworm gif! I can't. Loved the book, though! 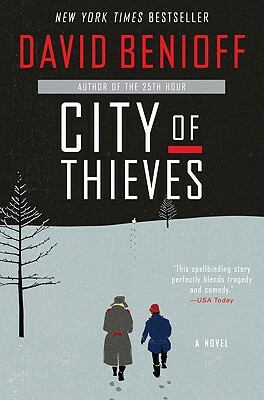 I HAVE TO READ CITY OF THIEVES! I've been saying that for so long now and just haven't done so yet. Sounds perfect. SO GLAD you loved Life After Life. I'm so excited to pick it up again. Really such a great novel. And apologies for all the caps going on above - I'm pretty enthusiastic about these statements. I've got Life After Life to read soon, so glad to hear more positives about it. Eww, worms lol. I just finished Life After Life and I didn't know if I should immediately start reading it again or start making some sort of chart or swear off other books for a while. Kate Atkinson has magic or something. Right?!?!?! I feel ya sister, I feel ya. I'm so glad that you reviewed that book because I wouldn't have requested it from my library otherwise :) Thanks!!! I must read Life After Life! 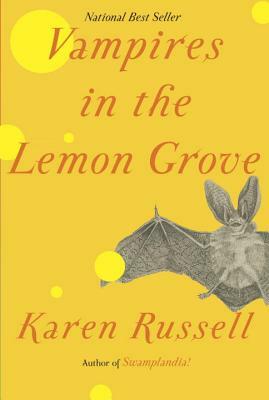 And Vampires in the Lemon Grove sounds interesting too. Love the HP gif! Also, I love the quickie quick reviews on the books. I kind of have stayed away from the Kate Atkinson because it does sound gimmicky, but you totally addressed that and it's all I need to know! Finding gifs is one of my favorite things ;) I thought it might be gimmicky too but it is NOT! I was pleasantly surprised.